Update, March 5 2018: Life is Strange: Before the Storm’s bonus episode Farewell is now available for owners of the deluxe editon. Find out why Before the Storm should be teaching Star Wars a thing or two about prequels. You can get a look at the episode in the trailer above. 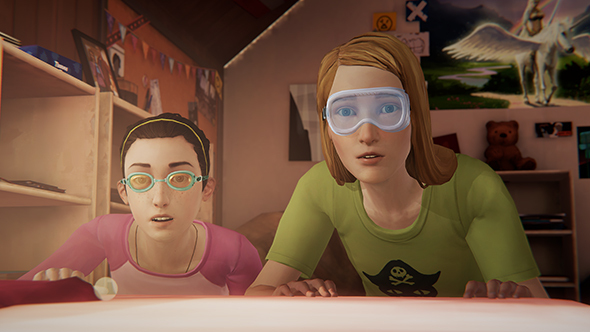 Hannah Telle and Ashly Burch will reprise their roles as Max and Chloe for the first time since the original Life is Strange, following the SAG-AFTRA voice actor strike causing a change in casting for most of Before the Storm. The bonus episode is only available for owners of the deluxe edition, but if you’re quick you can get a discount on it. The Square Enix publisher’s sale on Steam is still going for another 30 minutes as of this post, and Before the Storm – as well as the deluxe edition – is on a 40% discount for the duration. If you own the deluxe edition, Farewell is now available to download. Original story November 30, 2017: The SAG-AFTRA voice actor’s strikeofficially came to a closeearlier this month, following atentative agreementput together in September. One of the most visible effects of the strike was in Life is Strange: Before the Storm, a prequel story that wasforced to recastAshly Burch’s role as Chloe. But Burch will be returning to the role in Before the Storm’s bonus episode, alongside Hannah Telle as Max. Max has been absent for most of Before the Storm, putting the focus squarely on Chloe, who has been voiced by Rhianna DeVries. Developers Dontnod say DeVries “has done a fantastic job for the voice and motion capture of 16 year old Chloe so far, bringing a little bit of herself to the role, just as Ashly had in the previous game,” and she will continue to provide motion capture for the character in the episode. Before the Storm has one more regular release left to finish out its three-episode story arc, and the Farewell bonus episode will follow that sometime early next year. Farewell is only available as part of the Deluxe Edition of Before the Storm, and the developers “this may very well be the last time that you will get to see Max and Chloe together!” But this is a hella good way to send the pair off.